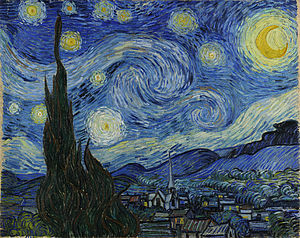 That is a very interesting post about Vincent Van Goughs painting Starry Night! You have used good words like resembles,tecnik and siwggils. Keep up the good work Kobe!